The love of dogs is a very real thing around here. So when a friend came to me with a request to commission an illustrated book telling the adoption story of her wife's dog Ruca, I was thrilled! This book was going to be a Valentine's gift so it had to be kept a secret. This project was going to be so much fun, I knew it would be tough not to share the process along the way. 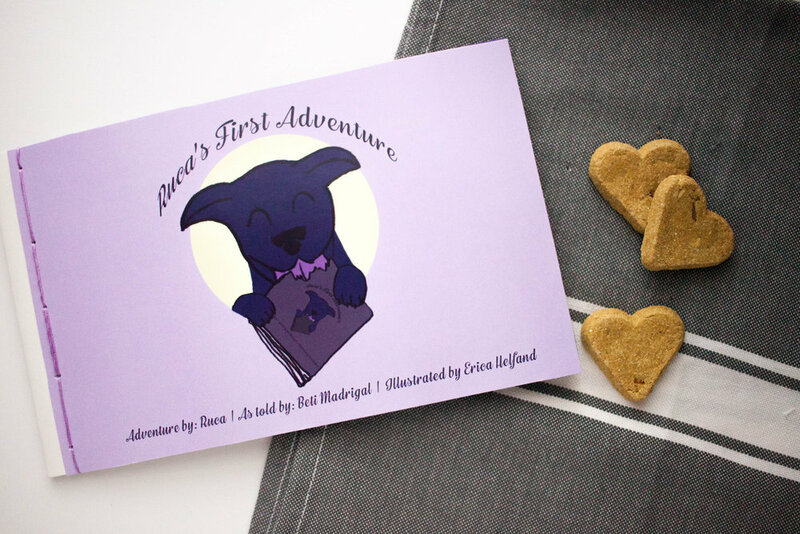 This book is the written chronicle of the day they adopted their dog Ruca. 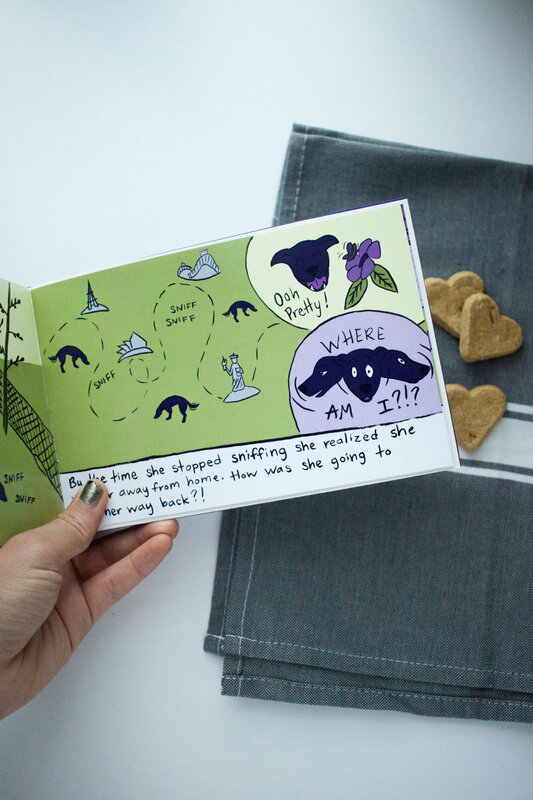 The adventures and mishaps could not be more perfect for an illustrated book. The extra crazy part is, none of it is made up. All the events actually happened in one day. For the illustrations I was not given any requirements or direction. I was given a very minimalist account of the day written out. From there I took creative license to lengthen the text and develop it out into a flowing story. Then I did some very basic storyboarding of the pages to talk through with the client and get feedback. Once that was all ready to go, I began drawing out the full illustrations in a notebook. From their they were inked, scanned, edited then colored. Since it was a one print book, I had them printed glossy on cardstock at my local Kinko's where I then trimmed and bound the book by hand for the finished product.